Remember when hospitals performed imaging exams and radiology groups contracted with those hospitals to read those exams … and that was pretty much it? Then, from 1990 to 2008, the number of freestanding imaging centers more than tripled from 2,000 to well over 6,000. As more and more radiology groups entered the outpatient imaging center business, those doctors increasingly competed with hospitals for exams, even though many still read those same hospitals’ exams. That certainly altered the dynamic between those hospitals and radiologists, but for a while, radiologists had the upper hand in the relationship. Teleradiology providers have diversified from overnight coverage services into a broader range of business plans. Some still focus on overnight preliminary reads, others on subspecialty reads, while some seek overflow reads, and others provide direct competition for traditional radiology groups. Some contract only with radiology groups, while others will contract directly with a hospital or imaging facility. The result is that radiology groups now face both more and different competitors, and hospitals often have more leverage in negotiations. How does that apply to the issue of preliminary reads? Most see a migration toward more final reads and fewer preliminary reads. In this issue, Orenstein reports on the perspective of traditional groups and hospitals on the topic. 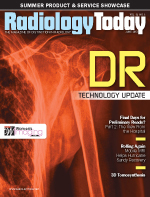 While teleradiology’s impact on radiology is a current hot-button issue in radiology, imaging’s evolution will not stop, and new issues with take center stage. Here’s my guess of what the future big issue will be, at least somewhere down the line: As health care reform pressures nudge health care from fee-for-service medicine to some other payment model—wish I knew for sure when and what those changes will be—there is a strong chance that radiology will migrate from its position as a profit center powerhouse for health care systems and will be seen more as a cost center. That shift would ripple through radiology even more than the current so-called commoditization crisis. Medical imaging is too useful and valuable to physician decision making to get swept aside, but it will change.